Spruce Up Your Spaces With Our 21st Century Bars! A bar for your home isn’t just a ‘bar’ any longer. Just like technology has transformed nearly every aspect of our lives in some fashion, so too has technology changed the way bars function in the 21st century. More than just a reserved spot to sit your adult beverages, commune with friends and family, and relax while the world passes you by, these next generation bars can just as easily be classified as ‘home entertainment’ in addition to being labeled as furniture for the home. Not quite convinced on what our next-gen bars can do for your home? Take a look below and let us fill you in on what makes our latest bars so special. Bars with Bluetooth capabilities are the newest in technological advancement. It sounds like the work of a mad scientist, but we have to admit, there’s something ridiculously cool about owning a bar with Bluetooth capabilities. When you’re relaxing with your friends and knocking back a few drinks, it’s almost an unwritten rule that music must be playing in the background. Rather than lugging a laptop or desktop speakers to your bar (or pulling out your ancient CD collection), our Bluetooth bars have you covered. Streaming music from your phone via your bar’s Bluetooth will make your bar the place to be. You would be hard-pressed to find someone that doesn’t have a music streaming app on their smartphone. Free music streaming apps such as Pandora and premium apps such as Google Play Music and Spotify Premium make it simple to play any type of music you wish from your mobile device. Bridge your mobile device with a Bluetooth bar, and you will be able to play your guest’s favorites tunes from the bar’s amazing speakers. Want to watch the game on your television but would prefer to stand and chill out near the bar? Simply bridge your Bluetooth-ready television to one of our Bluetooth bars, and you can watch the big game from the comfort of the bar while still being able to listen to it as if you were standing in front of the television set. If you have a Bluetooth-capable device, you can use it to stream any type of audio through the bar – amazing! Electronic fireplaces add ambiance to any room. There’s nothing quite as classy as sipping on a few drinks in front of a fireplace. We know this, and that’s why we are happy to also sell bars coupled with an electronic fireplace. Simply turn on the bar’s electronic fireplace feature, and you and your friends can enjoy the visual stimulation of a flickering, colourful fireplace brightening your home’s spaces. It’s an extra touch that will keep your friends wanting to come back to relax at your home! Want to browse our selection of next-gen bars for yourself? 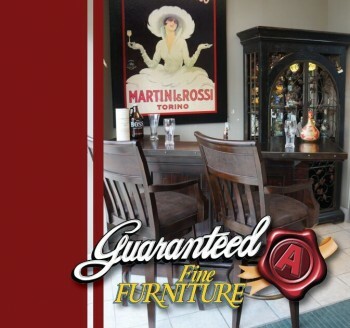 Visit our showroom today, and bring home a bar that will be the envy of your neighborhood! Spring is in the air – and as such, it’s time that you decorate your home accordingly. You’ve had to endure the long winter season and have likely grown accustomed to the look of your home, and are ready for a change. We’re here to help, and we have a few awesome tips that will certainly help you to transform your home from looking drab to giving it a colourful, vibrant, look that is perfect for this wonderful season. 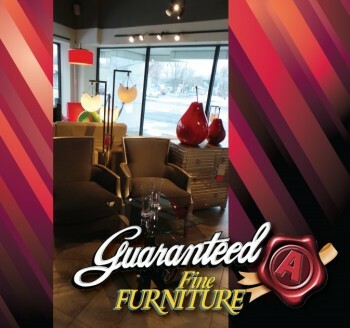 Of course, if you have any questions please visit our showroom so we can help you out ASAP! 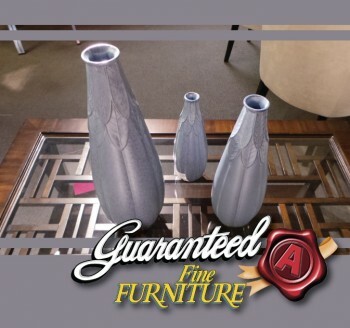 Vases can either be filled or left alone. Either way, they make a great conversation starter. You know exactly which areas of your home we are talking about: those dull, lifeless areas of the home that lack any colour whatsoever. Fix this by placing vases filled with fresh flowers and fruits strategically in these lifeless areas to bring a touch a spring into the home. You will be amazed how easily this will transform portions of your home from looking colourless to stunning. Accent colours brighten any living space. Tired of looking at the same old throw pillows? What about that same, dull lamp shade? Consider replacing these items, pots, rugs, and more with new, colourful items that utilize the perfect shades of spring; yellow, baby blue, pink – they’re all fair game. Consider hanging new, colourful prints (complete with beautiful frames) around your home to give it that new look of spring! One of the best ways to update your home for spring is to purchase new, seasonal glassware. Consider purchasing glassware (and dinnerware if you want a full update) featuring flowers, birds – essentially, any design that feels like ‘spring.’ Now you will have a set of glassware/dinnerware that you can implement into your normal rotation every spring! Seasonal centerpieces transform the room. Most of us have been told since we were children that first impressions count. It is sound advice that applies to every facet of our lives: especially our homes. Your home’s entry is the first impression that your guests are going to have when they initially enter your home. Thus, it is vital that you ensure that your home’s entry is looking as pristine and fresh as possible. Unfortunately, most of us are guilty of ignoring the state of the entry. It does not seem like a big deal until you have guests over; and when they come over, you are automatically reminded that your home’s entry does not look as great or as immaculate as it should. But we are here to the rescue! Below are the best ways to update your home’s entry and make it look like a million bucks. 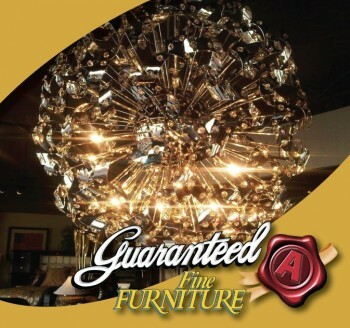 One of the best ways to transform any space from looking drab to fabulous is by changing the lighting. Arguably the most important aspect of your home’s entry, the way it is lit sets the mood for the entire space. If you have a larger entry and can get away with hanging a pendant or chandelier, go for it. For entries limited in space, consider hanging smaller yet elegant lighting that bring a touch of class to your entry. Accessories give personality to your home. Nothing brings out the best in your home’s entry quite like accessorizing it with artifacts of your life. It is a great place to hang framed pictures of family, friends, memorable events, and various other loved ones in your life. Moreover, if you have wall art that doesn’t seem to work anywhere else in your home, consider hanging it on the walls of the entry. Bookshelves littered with your favorite novels, an end table with fresh flowers, and so on are also great accessories to include in the entry. 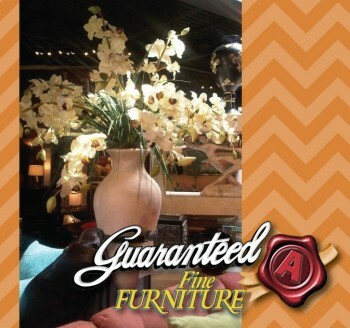 Consider placing some furniture on your porch as an extension of your entry way. Depending on who you speak to, your porch could also be considered an extension to your home’s entry. We all want to make a great first impression (and subsequent impressions thereafter) right? Then consider placing patio furniture on your home’s porch. Strategically place furniture in such a way that when your guests sit on the furniture, conversation can take place very easily. Be sure to also match the color of your patio furniture to the tone of your porch; that way, your patio furniture continues to look elegant and does not stick out like a sore thumb. Consoles add space to a room. Whether you are moving into a new home or merely want to redecorate your bedroom, shopping for a bedroom can be a stressful endeavour. There’s a lot of items that are mandatory for any bedroom – from the actual bed to the linens and so on – so it can be confusing to know exactly where to start. Luckily, we are here to the rescue! Below are a few of our own tips for shopping for a bedroom. Heed our advice, and you will find that shopping for a bedroom can actually be fun! Know the area/layout of your bedroom before shopping. Know the area you are working with. It’s time to pull out your trusty measuring tape and measure the actual area of your bedroom. It has probably been a while since you learned how to measure the area of a room, so watch this 5-minute video from Lowe’s Canada to get a refresher on how to measure the area of any room. Afterward, snap a few pictures of your bedroom to get a better idea of the overall layout of the room. Bring this information with you when shopping for your bedroom, and we will definitely be able to help you out! “The bigger the better” isn’t the best philosophy when it comes to the size of the bed. When it comes to our bed, many of us believe that the bigger the bed, the better. There is no greater feeling during the wee hours of the evening when you are lying in bed and you know that you have more than enough room to enjoy a good night’s sleep. Yet, a lot of that space is wasted – and if you want to maximize your bedroom’s space as much as possible, you need to compromise. If you sleep alone and want to have more than enough room, a full-to-queen-size bed will do the trick. 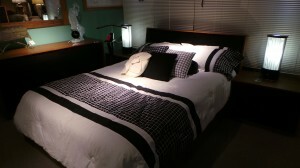 For those that share a bed with their spouse, a queen size bed is usually suitable as well. If you need an even bigger bed, you have you have to have king size bed. Keep in mind that if you already have a mattress that you do not want to replace, measure it before shopping for your new bed. After all, you do not want to come home only to find that your mattress will not fit your new, luxurious bed! How many pieces will your bedroom have? The full bedroom set isn’t a necessity. Pick and choose wisely. The amount of pieces your bedroom will have depends on two things: whether or not you want a ‘complete bedroom set’ (a bedroom set usually consists of a bed, a dresser with a mirror, a chest of drawers, and a nightstand) and the size of the bedroom. If you want to take a minimalist approach to your bedroom, consider doubling your dresser as a nightstand and excluding your mirror altogether. 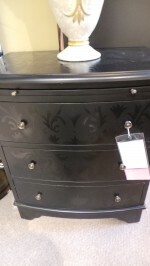 If you have a small bedroom, consider purchasing only three pieces. Will you be happy with your choices in 5 years? If the answer is yes, purchase it! 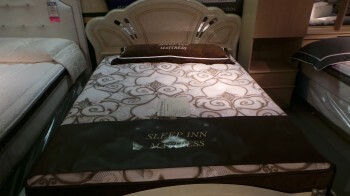 As always, if you need any help whatsoever with purchasing any items for your bedroom set, stroll on in to our showroom today and take a look at our bedroom furniture and more. Without a doubt, we have something for everyone! Spring is in the air! 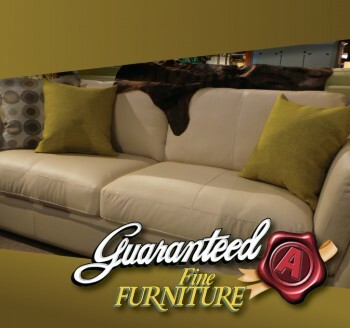 A time of rejuvenation, there is no better time to bring new life to your family room than now. Especially if you have noticed that your family room has become drab, boring, and generally lifeless, the following tips below will allow you to renovate and redecorate your family room in such a way that it will become the envy of every guest that visits! If you want to give your family a sense of sophistication, one of the best ways to do this is to combine classic and modern elements together to create a one-of-a-kind look that is sure to impress every guest. 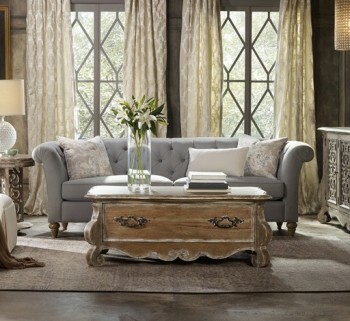 For example, consider replacing your old coffee table with a trunk that has that old, weathered antique look to it. Place it in the middle of your family room surrounded by modern sofas (bold, leather furniture is always a solid choice), and you will have a look that clashes the old world with the modern era. This also works the other way around. If you love your modern-looking coffee table – but feel indifferent to your furniture – purchase retro looking furniture throws (colours from the 1960s are in-style currently so this shouldn’t be difficult) to make your furniture look as if it has stepped back in time. Either way you choose to spin it, clashing the old with the modern is always worth considering! Ready to add some colour to your family room? Then stop staring at that bland, lifeless furniture and add some colourful throws to your sofas, chairs, and any other furniture that you want to spruce up. Consider also including throws that have different patterns – and complete the look with a colourful rug that has a different pattern from anything else in the room. Add some colour to liven up the space. Mixing and matching bright colours and patterns will make your family room look exciting, cutting-edge, and lively. Who knows? Your guests may actually believe that you hired an interior decorator to redecorate your family room for you! 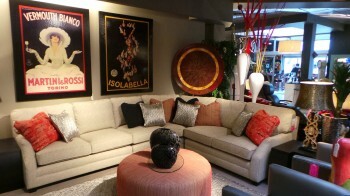 If you want to add sophistication to your family room by way of artwork, then move all of the artwork to one wall. This will give your family room a gallery look that will instantly make the artwork more interesting. For an extra touch of class, consider hanging a circular mirror in the middle of the artwork to make it the focal point of the wall. 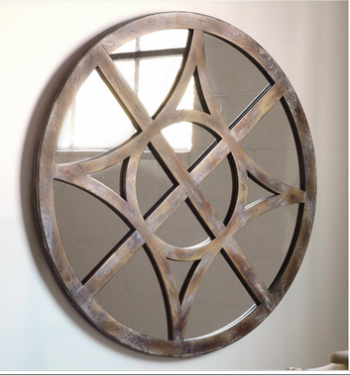 The artwork will look as if it is drawn to the mirror – a cool look that will bring out the best in your space. 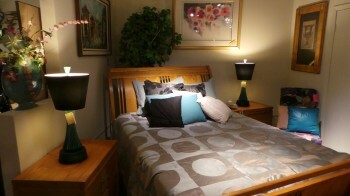 There is arguably no better, inexpensive way to transform a room from looking gloomy to lively than by using lighting. Place standing lamps in the dark corners of your family room and be sure to place colourful lamps on the end tables of the room. 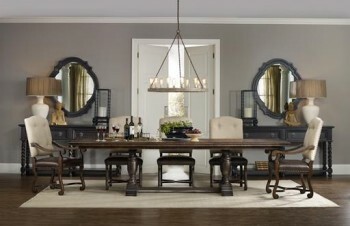 Consider placing mirrors on opposite ends of the room (facing the lamps) to add even more lighting to your room. 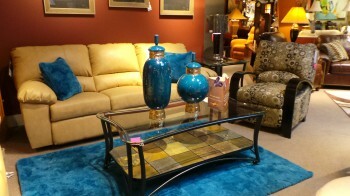 Mirrors and lamps are the perfect combination for enlightening your family room – and we have plenty to choose from! 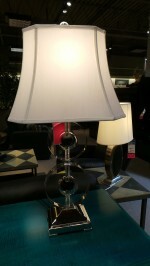 Lamps will brighten up a dark room. Some of the greatest moments of our lives happen when we are entertaining our loved ones in the comfort of our own homes. Even so, there are some spaces that simply do not work well for entertaining. At face value, it can be difficult to understand why some spaces seem tailor-made for entertaining guests – but we want you to know that there are certain things you can do to bring out the best in your spaces and ensure that you can entertain your guests as best as possible. Below is everything that you need to know regarding the art of entertaining. If you have noticed that some spaces seem to minimize conversation rather than maximizing it, it could be that your furniture needs to be re-arranged. Take a look at the walking path at the space in question: does the path force guests to awkwardly walk in front of and around your other guests? What path do guests have to take if they want to grab a seat and talk to someone? It is essential that the entryway to the room acts as a bridge to the rest of the room. When a guest enters the room, they need to be able to walk to any seat in the room without breaking up any conversation. Once they sit down, they need to be able to have a comfortable conversation everyone else in the room. Eliminate segregation from every room of your home, and be sure that no matter where someone is standing or sitting in the room, they are able to have a comfortable conversation with someone in their proximity. Sometimes, the difference between having one of the most entertaining evenings in recent memory and having a regular, entertaining night is the entertainment center. 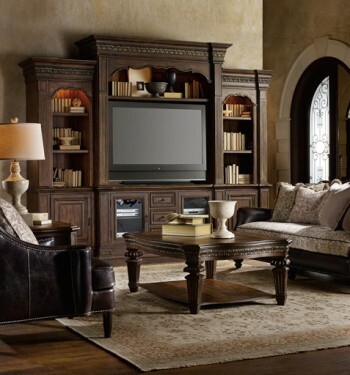 No, we are not saying that you need to purchase a bigger entertainment center: rather, be sure that your entertainment center acts more like an ‘entertainment center’ and less like a glorified television stand. Especially if your entertainment center is using only a fraction of its shelf space, you need to take full advantage of the space and make it a little more interesting. For example, record players are hip once again. A great conversation starter would be to purchase a brand-new record player (fairly inexpensive at your local home entertainment store), buy a few records (new or used at a local flea market), and display them on your entertainment center. After a nice dinner, you can liven the mood even further by putting on a record and enjoy a nice, nostalgic evening. Alternatively, store board games, video games, card games, photos of your family – essentially, anything that will invoke conversation. 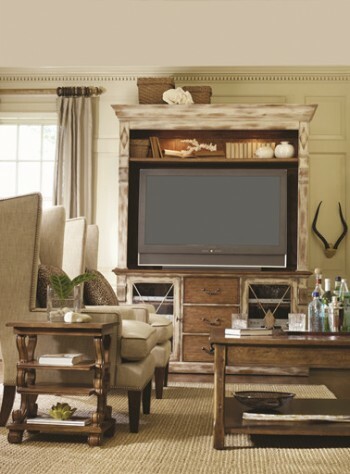 If you need a new or larger entertainment center to pull this off, we have exactly what you need. If you want to bring out the best in your nightcaps, then a cocktail bar is essential. Complete it with attractive stools that will allow your guests to sit around, enjoy their beverages, and have delightful conversations with one another that may or may not last until the wee hours of the morning. Place the bar in a room that is reserved mainly for entertaining your guests, and we guarantee that your guests will be entertained in your home more than ever before. Spring is right around the corner – and if you are like most people, you are probably planning to do a little spring cleaning to kick off the season. While we go out of our way to clean our garage, attic, closets, and the little nooks-and-by throwing away unwanted clutter accrued throughout the year, one of the things we never think about throwing out is our mattress. It may sound unnecessary, but there is an assortment of benefits to purchasing a brand-new mattress for your bedroom. Let’s take a look at a few of them. The most obvious benefit of purchasing a new mattress is that it will provide you with one of the best, most restful sleeps you have had in years. While you may think that your older mattress will suffice, the reality is that it may be causing you to sleep restlessly; and a mattress that is properly supported will fix this. 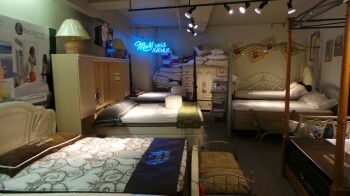 We offer a variety of mattresses – from extremely soft to firm – that you can try out in our store today. Believe us: when you lie down on one of them, you are going to feel the difference right away! Most of us have come to the conclusion that waking up with a headache or some other type of bodily ache is normal. We chock it up to aging, staying up too late, or another excuse that seems logical. Yet, the problem could be that your mattress does not have the support that your body requires. Properly supported mattresses barely have any solid surfaces (if any at all) inside the mattress. This reduces various stress points in your body which could be the culprit of the aches and pains you experience the morning after. A brand-new mattress will also improve the overall quality of your health. Older mattresses tend to breed nasty pests that often trigger allergies (such as mold). Especially if you suffer from indoor allergies, replacing your mattress could eliminate the bulk of your problems. 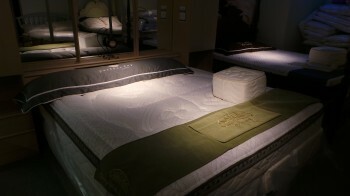 Moreover, a new mattress will also help you to maintain your weight. You see, when you consistently sleep restlessly due to your older mattress, this can cause you gain weight while losing muscle mass; a cocktail combination that could present additional health issues. Replacing your mattress will also boost your immune system. Research states that the absence of consistent, well-rested sleep causes the immune system to take a nosedive. Thus, it makes those affected much more prone to sickness. That in itself is enough of a reason to purchase a new mattress. 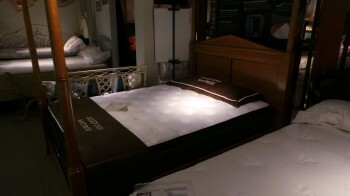 Take it from us: the first night you sleep on a new mattress, you are going to wish you had made the switch years ago! You will healthier, sleep better, eliminate those aches and pains, and your quality of life will increase dramatically. If you have any questions regarding which mattress is right for you, stop by our store today and let us help you to find the perfect mattress for your needs! We’re getting ahead of ourselves. Mirrors have a multitude of uses. Discover a few of our favorites by checking out our tips below. Do you hate how small one (or more) of your rooms feel? If so, know that one mirror propped against the wall (at least 75% as tall as your wall) can make the room feel larger and more inviting. In fact, this optical illusion will make the room feel as if it has actually doubled in size; ridiculously cheaper than hiring a contractor to physically expand the room. Hang a mirror in front of a window for the same effect. Don’t you hate rooms that never seem to be able to get enough lighting? They feel dark, a bit depressing, and simply uninviting. Eliminate this moody vibe immediately by hanging a mirror on the room’s wall, hanging another mirror directly across from it, then shining a light source on one of the mirrors. Essentially, this will bounce the lighting from the surface of the mirror to the other, creating an extra light source that makes the room feel brighter than ever. If you have multiple mirrors of different shapes and sizes, consider creating a collage out of them to create an artistic piece. 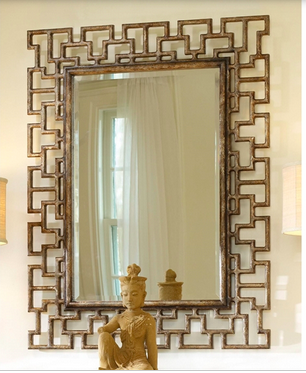 If you only have a few, angle the mirrors to reflect a favorite painting or photo hanging in your home. You can even place a mirror in the entrance to a fireplace while lighting candles in front of it; perfect for those spring and summer months when the fireplace is no longer in use! 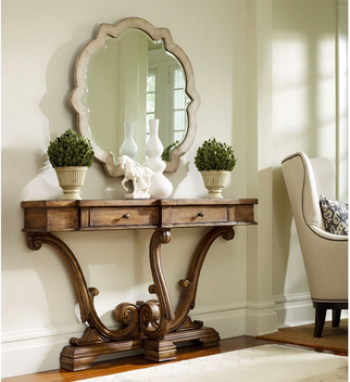 There is something elegant and beautiful about placing a large mirror in an entryway. If you have an open space next to a doorway, feel free to hang/sit a mirror next to the entryway to give the space a sense of ambience and reflection. Placing mirrors in this spot is also ideal for the front door of your home, as it will allow you to check to ensure you have not left anything behind (such as your wallet or purse) or have powered everything off (like a coffeemaker) before heading out into the world. With Easter just around the corner, it’s time to begin thinking about how you are going to decorate your dining room table for one of the most celebrated holidays around the world. 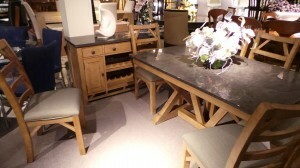 But first: what if your dining room table is currently too small for all of the guests you are expecting this year? You want to have enough room for loved ones to ‘take in’ the beauty of your decorative table, so you need to do something fast. 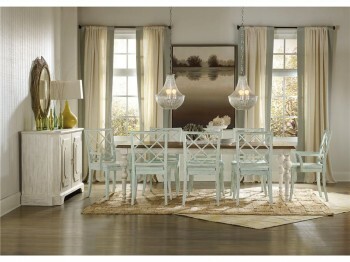 Moreover, what if your dining room table has seen ‘better days,’ and you know that it’s time for an update? 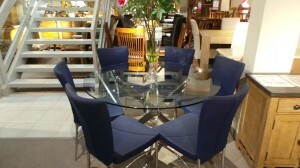 Don’t fret: we have plenty of beautiful dining room tables – no matter if you want a casual or formal look. 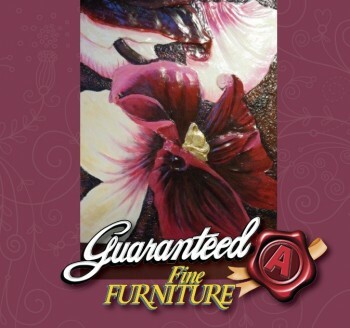 No matter if you are happy with your current dining room table or you need a new one (just hop on by and we will find the perfect one for you), it’s time to make this Easter one of the most memorable of all time. With our decorative dining room table ideas below, your loved ones will be talking about your beautiful decorations for years to come! Easter and Spring go hand-in-hand – so why not display items on your dining room table that represent the beauty of this amazing season. Utilizing bright greens that look right at home on a freshly cut lawn, baby blues that look like a beautiful, Spring afternoon, and bright yellows, pinks, etc. that look as if they belong on one of the many Springtime flowers. Get creative, and your guests will be blown away by the beauty of your table. If the weather during Easter Sunday is beautiful, it would be a waste to keep everyone indoors for the day. What can you do? Take your dining room table outside! If you have a place to sit your dining room table – such as a deck or a concrete slab around your backyard – you can still have a decorative look while enjoying the outside air. 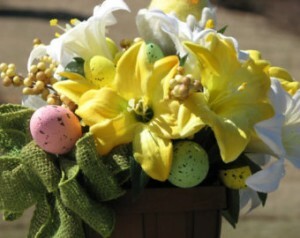 Plus, there’s no better way to bring the beauty of Spring to your Easter Sunday! It wouldn’t be Easter Sunday without colourful, painted eggs; make them the centerpiece of your Easter dinner with only a few items. With only a footed bowl, Easter grass, and painted eggs, you can have a stunning dining room table display that your guests won’t be able to stop admiring. If you want to make it even better? 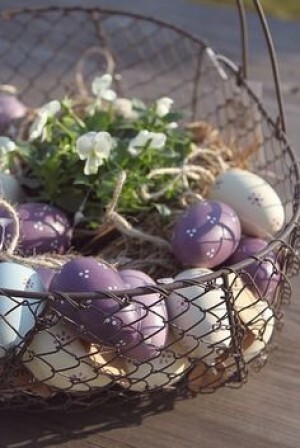 Consider placing candy eggs in the dish as well. Easter dinner wouldn’t be the same without plenty of flowers. Place a few vases of flowers on and around your dining room table (use our first tip if you need help choosing colours) to brighten up the room and give your dining room table that colourful, seasonal look you desire. Feel free to mix and match or stick to a certain type of flower – either way, you can’t go wrong! 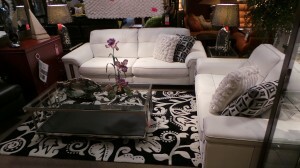 The elegant simplicity of black and white décor has been a mainstay since the dawn of modern society. Though its popularity fluctuates annually, it’s a colour scheme you can always count on to be ‘in season.’ 2015 is no different. Without further ado, here are some of the most popular black and white décor style trends to watch for in 2015. Graphic patterns are popular in 2015 (as evident by the recent popularity of wallpaper), and the most popular colour scheme of these patterns? You guessed it: black and white. We’ve all seen large black and white prints when browsing our favorite furniture stores, and these prints are thankfully still in style. If you want to add a few graphics to your home, consider hanging large black and white photos from a bygone era. If you want to a more abstract look, consider hanging blurred black and white images. For an extra shot of creativity, consider getting these images printed on fabric! Also consider purchasing black and white floor covers (but we’re getting ahead of ourselves – more on that in a moment). If you want to incorporate a black and white style into the bedroom, consider purchasing a black, elegant comforter to drape atop new, white sheets. For an extra layer of black and white, consider purchase gray pillowcases. If you typically fold your comforter and flat sheet to the middle of your bed every morning, you should also consider purchasing black pillowcases, to create a ‘black-to-white-to-black’ appearance. Simple yet sophisticated, it’s a timeless look you won’t grow tired of anytime soon. The same principle can be applied to the living room as well. Especially if it is time to purchase a new coffee table, now is the time to incorporate this timeless look into your living room and/or family room. The easiest way to achieve this look is to purchase a black coffee table and rug (or a gray rug if you want an extra layer) combined with the white upholstery of your furniture – or vice-versa! Therein lies the evidence as to why the black-and-white colour scheme is so popular: regardless of how you decide to mix-and-match, the look is going to be elegant and classy every single time. If you want to decorate even further, consider draping your flooring with a black and/or white floor cover in various areas of your spaces. 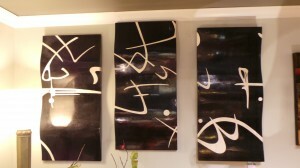 Finally, if you want to decorate your home with black and white furnishings – lamps, end tables, etc. 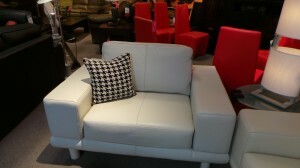 – know that black and white furniture with sharp shapes are definitely in-style. Furnishings that seem to twist, curve, sink in, and expand out are all fair game; like everything else black and white in this list, it’s sure to add a level of sophistication that will bring out the best in your spaces. 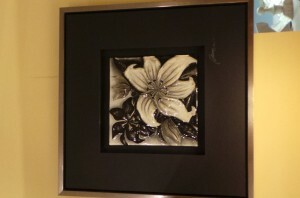 However you decide to decorate with black and white décor, be sure to get creative with it. You cannot go wrong with decorating with black and white anything (after all, that’s one of this colour scheme’s biggest positives), so mix-and-match to your heart’s content. After it’s all said and done, you’re bound to be proud of what your new, stylish décor!